There are many reasons a newborn will be admitted to the neonatal intensive care unit (NICU). When a baby is born prematurely or had a difficult labor and delivery, she may need help breathing, and the ICU is the only unit that cares for babies who are intubated and on breathing machines (ventilators). Once on a vent, the physician can give medication to help the baby’s lungs mature, if necessary, and the baby can slowly be weaned off the machine. Premature babies often suffer from high bilirubin levels (jaundice), low red blood cell counts (anemia) and periods in which breathing stops (apnea). These conditions and many others can be better managed in the NICU. Sometimes when babies are born, there are signs of brain, heart or lung problems. The baby may have been born non-vigourous and limp, which is a sign of many serious issues, including brain injury and hypoxic ischemic encephalopathy (HIE). If a baby is not breathing, is struggling to breathe or has an abnormal heart rate, she may need to be resuscitated. These issues, as well as low APGAR scores, are all reasons a baby may need to be admitted to the NICU. The Michigan birth injury attorneys at Reiter & Walsh ABC Law Centers have helped dozens of families affected by hypoxic ischemic encephalopathy (HIE). Attorney Jesse Reiter, president of ABC Law Centers, has been focusing solely on birth injury cases for over 28 years, and most of his cases involve hypoxic ischemic encephalopathy (HIE) and cerebral palsy. Partners Jesse Reiter and Rebecca Walsh are currently recognized as two of the best medical malpractice lawyers in America by U.S. News and World Report 2015, which also recognized ABC Law Centers as one of the best medical malpractice law firms in the nation. The lawyers at ABC Law Centers have won numerous awards for their advocacy of children and are members of the Birth Trauma Litigation Group (BTLG) and the Michigan Association for Justice (MAJ). If your child experienced a birth injury and now has seizures, hypoxic ischemic encephalopathy (HIE), brain damage, cerebral palsy or any other long-term condition, contact the neonatal ICU attorneys at Reiter & Walsh today at 888-419-2229. Our award-winning Michigan hypoxic ischemic encephalopathy (HIE) lawyers are available 24/7 to speak with you. Asphyxia / hypoxia-ischemia affect numerous body systems. Even if these conditions don’t cause a baby to have hypoxic ischemic encephalopathy (HIE), they can cause the newborn to have seizures, intracranial hemorrhages (brain bleeds), hypoglycemia, respiratory distress syndrome (RDS) and many other problems that require a stay in the NICU. In this section, we will discuss the many issues babies face when in the NICU. A common reason for babies to be admitted to the NICU is that they show signs of brain injury soon after birth. Neonatal encephalopathy (NE) is a term used to describe disturbed brain function during the first few days of life. Babies who had a difficult labor and delivery and experienced a lack of oxygen to the brain (birth asphyxia) or head trauma may show signs of NE right away. Hypoxic ischemic encephalopathy (HIE), meningoencephalitis (encephalitis with meningitis), intracranial and extracranial hemorrhages (brain bleeds), stroke, and infection can all cause encephalopathy in a newborn, but HIE is by far the most common cause of NE. Neonatal encephalopathy can cause the baby to have cerebral palsy, a seizure disorder, hydrocephalus, microcephaly, intellectual disabilities, developmental delays and periventricular leukomalacia (PVL.). Seizures and a below normal level of consciousness are some of the earliest indications of encephalopathy. Encephalopathy means that the baby has signs that indicate she has brain swelling caused by an insult to her brain. In many cases, the baby ends up with no permanent damage or long-term consequences, especially if the encephalopathy is the kind that can be treated with hypothermia (brain cooling) treatment. Babies who have hypoxic ischemic encephalopathy (HIE) are eligible for hypothermia treatment, but it must be started within 6 hours of the insult, which usually means 6 hours after delivery. Hypothermia treatment has been shown to slow down almost every injurious process that starts to occur when the baby is deprived of oxygen, and the treatment can prevent the baby from having cerebral palsy or it can cause the CP to be less severe. If respiratory distress, brain bleeds, infection and strokes are promptly recognized and appropriately managed, the babies’ permanent disabilities may be limited. Sometimes brain damage in a baby is not recognized until the child is 4 or 5 years old when certain developmental milestones are missed, which often occurs when a child has cerebral palsy. Hypoxic ischemic encephalopathy (HIE) is the most frequent cause of seizures in a newborn. Seizures occur when the brain is injured and abnormal, continuous electrical discharges take place. A baby having a seizure may experience involuntary jerking movements that can last several seconds or a few minutes. Often, however, there are no outward signs that a baby is having a seizure. Thus, babies suspected of having HIE must be frequently tested by electroencephalography (EEG) in order to determine if seizures are occurring. Many NICUs now have the equipment to perform continuous EEG monitoring on newborns. Seizures can cause permanent brain damage, so they must be promptly recognized and treated. After managing the baby’s airway, heart, blood pressure and circulation issues and determining the underlying cause of the seizures, the physician will typically start antiepileptic drug (AED) therapy if the seizures continue. Common AEDs include phenobarbital, diazepam, lorazepam, and phenytoin. Intracranial hemorrhages are bleeds within the skull or brain. Bleeds can be caused by head trauma that occurs during delivery. Forceps and vacuum extractors are a common cause of brain bleeds in newborns. Mismanagement of abnormal positions, such as breech and face presentation, and attempted vaginal delivery when shoulder dystocia or cephalopelvic disproportion (CPD) are present can also cause brain bleeds. Babies who are premature are susceptible to intraventricular hemorrhages (IVH), which is bleeding into the brain’s ventricular system. This is the most serious type of bleed and it is more common in premature babies because their blood vessels are not fully developed and are therefore weak. The best way to prevent IVH in a baby is to prevent premature birth. Hypoxic ischemic encephalopathy (HIE) is another cause of intrancranial hemorrhages. HIE causes cell breakdown and death, which causes blood vessel walls to degrade, leading to bleeding. Vacuum extractors place a baby at a significant risk of suffering a type of brain bleed called a subgaleal hemorrhage due to the pressure of the suction cup applied to the baby’s head. A subgaleal bleed occurs when the vacuum ruptures a vein and then the vein bleeds into a space between the scalp and the skull. This condition is life-threatening because almost half of the baby’s blood volume can end up in the subgaleal space. In the NICU, the baby can be closely watched for this type of bleed, which starts during delivery if the cause is suction from a vacuum extractor. Brain bleeds put a baby at a high risk of suffering from seizures. Brain bleeds must be diagnosed very quickly and EEG monitoring for seizures must take place. Treatment for brain bleeds includes making sure the baby’s blood pressure is normal and that the baby is getting help breathing if she needs it. Frequent measurements of red blood cells should be done, and in most cases, measurement of head size should be performed. Head imaging and blood clotting studies are also essential. Treatment for blood loss includes giving the baby blood and other therapies to increase blood volume and blood pressure. This includes packed red blood cells, fresh frozen plasma, and normal saline administration. In cases of a subdural hematoma, surgery to remove excess fluid and blood may need to be performed to decrease pressure inside the brain, and emergency surgery is needed when there is brain stem compression caused by bleeds in parts of the brain that don’t have as much plasticity (ability to move) as other parts. A common reason babies need to be admitted to the NICU is so they can get help breathing. Brain injury caused by a lack of oxygen to the brain (birth asphyxia) can cause respiratory depression and difficulty breathing. Breathing problems include a decreased drive to breathe, apnea, a lot of secretions caused by meconium inhalation, and respiratory distress syndrome (RDS). Sometimes babies have heart and pulmonary vessel problems which also require them to be on a breathing machine (ventilator). RDS is associated with a difficult delivery and birth asphyxia. RDS is also common in premature babies and it is usually caused by a deficiency of surfactant in the baby’s lungs due to premature birth. Surfactant is a lipoprotein produced by the lungs to help the lungs be more compliant and able to easily expand and retract. When a baby has insufficient surfactant, her lungs will be stiff and there can be a lot of collapsed airways. This can make it very difficult for the baby to breathe, even if she is on a ventilator. Stiff lungs on a vent can become seriously injured. In addition, babies with stiff lungs and respiratory distress are prone to getting lung infections and pneumonia. Stiff lungs, collapsed airways and infection can cause the baby to suffer from a lack of oxygen to her brain, which can cause hypoxic ischemic encephalopathy (HIE), periventricular leukomalacia (PVL) and cerebral palsy. Thus, surfactant is very important for the baby. If the baby is born before 35 weeks – and especially if she is born before 30 weeks – she will likely require surfactant therapy. If the ventilator settings are not properly managed, the baby may receive breaths that are too large and fast, which can cause overventilation injuries such as hypocarbia and a pneumothorax (a hole in the lungs). Overventilation injuries can cause the baby to have PVL, cerebral palsy and hypoxic ischemic encephalopathy (HIE). When a baby is on the ventilator, the medical team must carefully monitor the vent settings and the baby’s response to these settings. The baby will be slowly weaned off the ventilator so she can start breathing on her own. Neonatal hypoglycemia (NH) occurs when the baby’s blood sugar (glucose) falls to unsafe levels in the first few days after birth. Babies need glucose for energy and brain function. Severe NH is one of the leading causes of brain injury. Neonatal hypoglycemia is not difficult to diagnose in a newborn, and usually it is very easily treated. Untreated NH, however, can have serious consequences for the baby because glucose is the major component for energy in all organs, and in the brain, glucose is used almost exclusively for energy. If the amount of glucose supplied by the blood falls, the brain is one of the first organs affected. When brain cells receive insufficient glucose, they start to die. This can cause cerebral palsy and seizures. Hypoglycemia is a common effect of birth asphyxia. All babies should have their glucose levels monitored, but if a baby experienced a lack of oxygen to the brain during birth, the medical team should be on alert that the baby may have NH. Jaundice is the yellowing of the baby’s skin and eyes caused by too much bilirubin in the blood. It is one of the most common problems in both premature and term babies. Bilirubin is a product of red blood cell breakdown. All babies experience a period of rapid red blood cell breakdown after birth and may look a little yellow. Most babies are able to easily process the bilirubin. In some babies, however, red blood cells break down faster than normal and the body can’t easily metabolize the bilirubin. When this happens, bilirubin builds up to dangerous levels in the blood. This can lead to bilirubin entering the brain tissue. It is toxic to the brain and can cause a form of brain damage called kernicterus. Kernicterus often leads to cerebral palsy. High bilirubin levels are easy to diagnose and treat. Most of the time, treatment simply requires the baby to be placed under lights or on a fiberoptic blanket, which is called phototherapy. Other times, the baby may need a blood exchange transfusion. There is no excuse for not properly treating a baby with abnormally high bilirubin. If a baby has to go get a lot of tests, the lights can go with her. If you are seeking the help of a Michigan hypoxic ischemic encephalopathy (HIE) lawyer, it is very important to choose a lawyer and firm that focus solely on birth injury cases. ABC Law Centers is a national birth injury law firm that has been helping children affected by HIE and other birth injuries by for almost 3 decades. Michigan HIE lawyer Jesse Reiter, president of the firm, has been focusing solely on birth injury cases for over 28 years, and most of his cases involve hypoxic ischemic encephalopathy (HIE) and cerebral palsy. 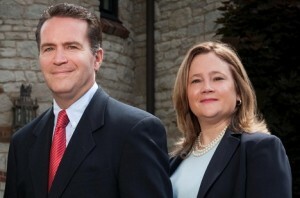 The partners of the firm, Mr. Reiter and Rebecca Walsh, were recently recognized as being two of the best medical malpractice lawyers in America by U.S. News and World Report. In fact, U.S. News and World Report has given Mr. Reiter the honor of being one of the “Best Lawyers in America” every year since 2008. The Michigan hypoxic ischemic encephalopathy (HIE) lawyers at ABC Law Centers have won numerous awards for their advocacy of children and are members of the Birth Trauma Litigation Group (BTLG) and the Michigan Association for Justice (MAJ). If your child was diagnosed with a permanent disability, such as cerebral palsy, periventricular leukomalacia (PVL), a seizure disorder or hypoxic ischemic encephalopathy (HIE), the award-winning Michigan hypoxic ischemic encephalopathy (HIE) lawyers at ABC Law Centers can help. We have helped children throughout the country obtain compensation for lifelong treatment, therapy and a secure future, and we give personal attention to each child and family we represent. Our nationally recognized birth injury law firm has numerous multi-million dollar verdicts and settlements that attest to our success and no fees are ever paid to our firm until we win your case. Email or call Reiter & Walsh ABC Law Centers at 888-419-2229 for a free case evaluation. Our award-winning neonatal ICU attorneys and Michigan hypoxic ischemic encephalopathy (HIE) lawyers are available 24/7 to speak with you. Watch a video of the Michigan hypoxic ischemic encephalopathy (HIE) lawyers at Reiter & Walsh discussing the causes of and treatments for hypoxic ischemic encephalopathy.